Mashusudan is an Assistant Professor at Visva-Bharati University. His primary research focuses are Complex Networks Theory and Computational Systems Biology. 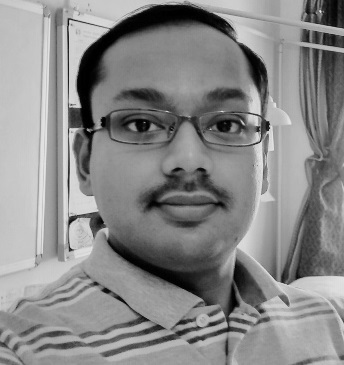 Saptarshi is a learner of Bioinformatics, specifically - Disease Progression Modeling. to efficiently analyze massive biological datasets. Abhishek's research interest lies in fine-grained entity typing. He is persuing this work under the joint supervision of Dr. Amit Awekar and Dr. Ashish Anand. Aparajita's research interest lies in decoding alternative splicing code in genome sequence using interpretable machine learning models. Akshay's research work centers around Natural Language Processing, Information Extraction & Deep Learning, mainly focusing on Large-scale Relation Extraction. He is persuing this work under the joint supervision of Dr. Amit Awekar and Dr. Ashish Anand. Akanksha is working on understanding biases in images and related questions in Visual Question Answering datasets. She is persuing this work under the joint supervision of Dr. Prithwijit Guha and Dr. Ashish Anand.